Right to education for every child..Malala and more! As I was watching Malala Yousafzai’s interview on the Daily Show last week I couldn’t believe that a 17 year old was making so much of a difference by voicing out for education. I do remember reading about her when she won the Noble Peace Prize but somehow it never registered in me that she was so young. As I watched the trailer of ‘He named me Malala‘ and the figures discussed by her, I was reminded yet again that there are millions of people in this world who have no basic education. Who have absolutely no knowledge of the outside world. There are 66 million girls around the world who are out of school. Children are those beings who are bright, enthusiastic and can make a huge difference in this world. The joy of seeing a child open a book and look at the pictures wide-eyed or attempt to read, ask questions you cannot answer, ask any mom and she will tell you that there is no greater joy than watching her child read. Why not give that joy to every mom? The joy and tears of happiness is multifold in an illiterate mother who sees her child getting education. Having been a facilitator for under-privileged kids for the organization called BHUMI. I got to see the struggles of children who were denied or given sub par education when they were younger and also the success stories over time when they were given the opportunity to learn better . But it is one of the most challenging things in every society when a sliver go ahead to invent complex gadgets or plan trips to Mars while a (pretty big) slice are still struggling with basic math in their teenage years. 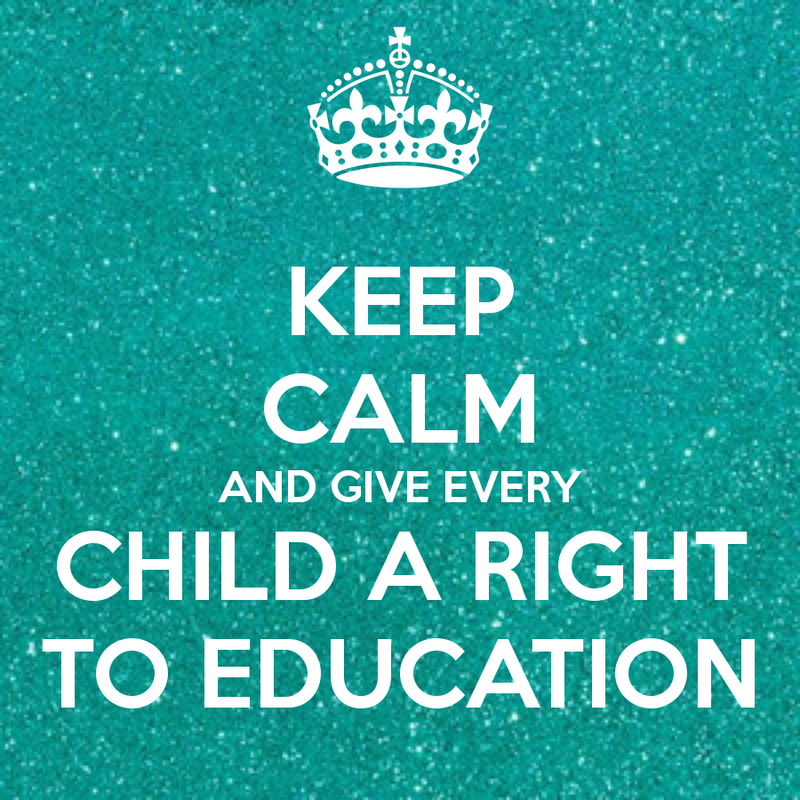 The Right of Children to Free and Compulsory Education Act or Right to Education (RTE) act of 2009 made India one of the very few countries in the world to make education a right of every child. Section 12(1)c of the act guarantees 25% reservation for children of backward and economically sections of the society free education in private schools. (Source: http://bhumi.org.in/rte/). Not many are aware to take advantage of it. Please visit the page to know more details and spread the word to parents of children who deserve free education. Every small effort will count, if you live in India and wish to be a volunteer to help this cause please sign up here. Edu-cater is yet another initiative who are trying to engage in providing better quality of education to children. They are working to unite various educators and education enthusiasts from all over the globe to come up with ideas to set up healthy environments in schools and also initiating fun-based and activity-based education. They are currently trying to set-up ‘Mini-Libraries’ in rural schools and communities to get children to read. Please like their facebook page to know more https://www.facebook.com/facilitatingisfun and also contribute your ideas. This is another initiative that I have been following and which I believe is going to make a difference in the quality of education in the coming years. #SariforEducation is an another initiative started by a dear blogger friend of min. She has identified two organizations to exclusively help girl children be educated in India. Anyone living in the United States can contribute to it. The concept being you save a dollar or two every time you wear a Sari and contribute the same for this cause. But regardless everyone is invited to sign up or like the page on Facebook and extend support. Please read more about this initiative here (http://mschutzpah.com/sariforeducation/about-sari-for-education/) and extend your support. I have endorsed only those initiatives with whom I have worked with or which I have followed. If you know any other organizations or initiatives related to this post, please share them below . Thanks!